It has always seemed to me that summer really starts sometime around July 1st. Maybe because it's Canada Day on July 1st (that's Canada's birthday--147 years young!) and a public holiday in most places in Canada. It's also my birthday today! By this time of year, the school year feels far behind the girls. 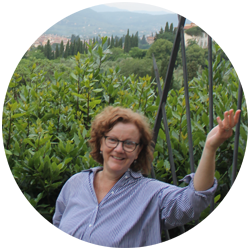 The garden is lush and the weather is hot and humid. 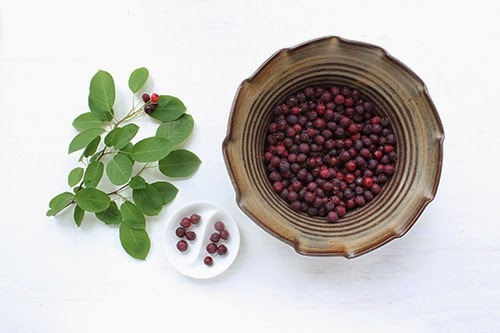 ♥●•٠·˙ I love being able to walk out the front door and pick a huge number of beautiful serviceberries from one of our shrubs. They are at their peak right now. Meeko accompanied me while I was picking and got the occasional berry (he loves them!) for his companionship. Look at those beauties! 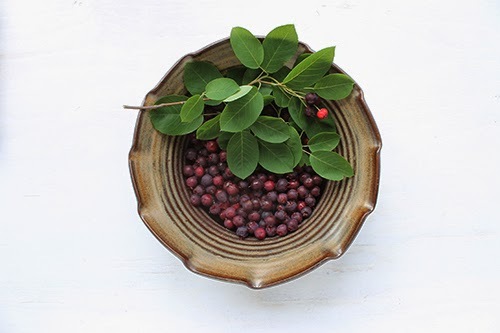 For those of you who haven't tried a serviceberry, they look very much like a blueberry but are redder in tone and slightly sweeter in taste. We have several serviceberry bushes and trees in our yard and share the harvest with the birds. ♥●•٠·˙ Last night, Emma and Chloé had tickets to see a live version of the satirical radio show Welcome to Night Vale. My husband and I drove them downtown and decided to have a pre-birthday dinner together while we waited for them. We had a restaurant in mind but it was full so we walked a few minutes and ended up in an area called 'The Village'. Several blocks of the main road are reserved as a pedestrian mall in the summer. 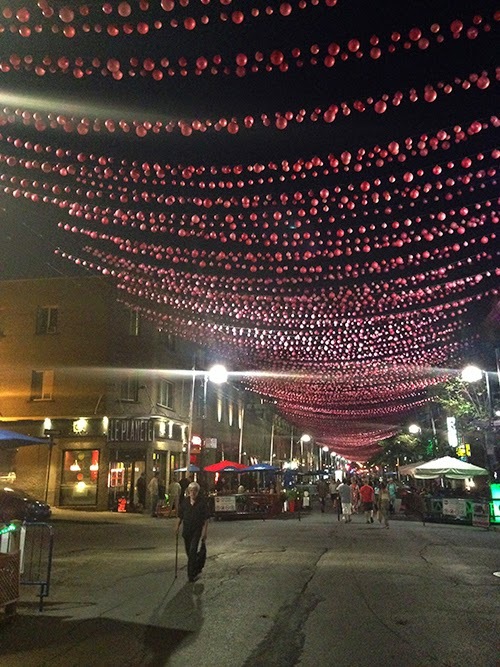 It is lined with terraces and decorated with garlands of pink balls (les boules roses). So beautiful. It is a diverse, lively, colourful neighbourhood of Montreal. We live in the suburbs and don't get downtown enough. It made my heart happy to be there. The pink ball garlands or 'boules roses' kind of remind me of serviceberries. ♥●•٠·˙ I received some lovely, thoughtful gifts from my family today--many of them from fellow Etsy shop owners. Some of the purchases are still in transit so I will be enjoying an extended birthday when I check the mailbox each day in the next week. ♥●•٠·˙I am thankful that there is a delicious looking chocolate layer cake waiting for me on the kitchen counter that was made by Emma. We will eat it after my birthday dinner which will be cooked by my husband Jocelyn. I hope that, wherever you are, you are enjoying time with friends, family as well as the pleasures of the season. 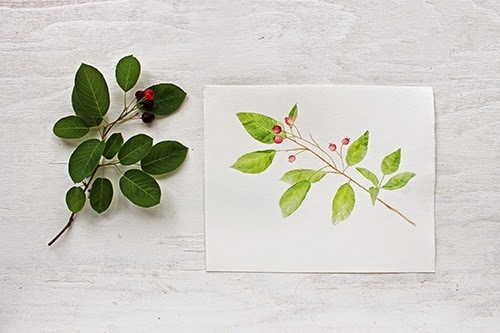 Here's a watercolour I did of a serviceberry branch last year. I have it available as a print here.